The New Balance Mens Minimus Golf Shoes are engineered with an Ortholite insole that wicks away moisture and is very breathable to keep you dry and cool. These feature a flexible, lightweight spikeless outsole that gives you traction and stability. New Balance Minimus golf shoes are fully waterproof for excellent protection in wet conditions. We ordered as per the website white /green NB golf shoes, however, the website was incorrectly shown the colour and we were sent grey/green NB golf shoes which in fact are really quite acceptable. Carl's Golfland were very apologising and to hold their good reputation they were kind enough to refund half the cost of the shoes which were sent in error. The only thing I find extreme is the UPS courier very expensive, even though they were sent very very quickly. We buy a lot of goods from the UK us down under in Australia and find the UK postage a hell of a lot cheaper. 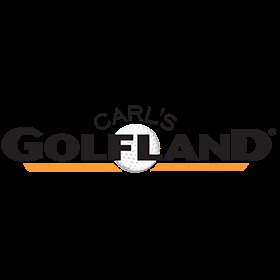 Besides all of the above Carls Golfland is a great place to deal with. Thanks Carls Golfland.